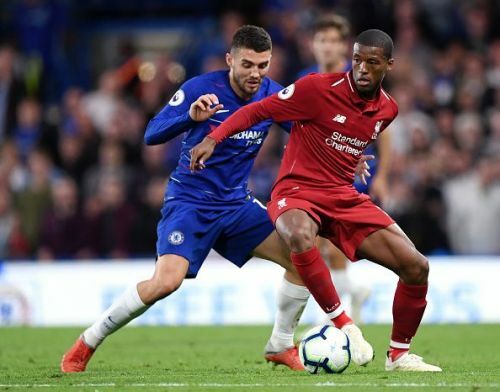 Is it time for Wijnaldum to change his style of play for Liverpool? There is no doubt that Wijnaldum is a gifted player, who can play in any position on the field. He has shown that skill several times and has even been deployed by Klopp as a centre back. The Dutchman has given great performances in all the positions he has played in and is a regular in the starting XI. There is no doubt about his quality. However, is it out of place to say it has also been observed that Wijnaldum is breaking the flow of the game? It is puzzling, why Klopp is continuing with Wijnaldum in the midfield in spite of his continous breaking of play. The following things can be found from his style of play, he either keeps the ball with him and delays the passing or turns back and makes passes to defenders. Many times he passes the ball to defenders while strikers are shouting for a pass. He turns back even in situations where he can dribble past the opposition players. There is no dispute that his style of play affects the flow of the game. His intention of keeping possession is worth praising, but breaking the flow of the game is a cause of concern for the team. Instead of making a penetrating pass, he plays it safe and gives it back to defenders. In this way, he makes the runs and efforts made by his attacking teammates futile. The puzzling thing is no one has pointed it out yet. There is no dispute that most football players are selfish and want to see their name on the scoresheet, even Wijnaldum is no exception to that. No one blames him for it, but at the same time, he is supposed to make right passes to the strikers. Further, as he is more often present in a goal scoring position he always tries to take shot himself instead of passing the ball to others who are in a much better shooting position. This has affected his assist count. It is true that he is doing a great job in defending, but that does not suffice to claim a place in starting XI of the current Liverpool team. He has to make the right passes while keeping the momentum of the game intact and he also should ensure the flow of the game is not interrupted. Jurgen Klopp will have to address this sooner or later if Wijnaldum is to become a staple in the starting lineup of this team.